Stewart, who has served on the Gray Center Advisory Council, will lead the collaborative arts center from July 1, 2015 to June 30, 2016 while the Gray Center’s current director David Levin is on leave as a Faculty Fellow at the Franke Institute for the Humanities. Levin said he hopes the interim directorship is merely the next step in a long partnership between Stewart and the Gray Center. “Jackie was a graduate student at the University and has a deep understanding of the spirit of experimentation that characterizes the University of Chicago in its essence,” said Levin, the Addie Clark Harding Professor in Germanic Studies, Cinema and Media Studies, Theater and Performance Studies, and the College. “She’s a very acute reader of film but also an amazingly creative historian of Chicago and the institutions of cinema in Chicago. The Gray Center is a perfect fit for the inventiveness and rigor that have characterized Jackie’s work,” Levin added. Stewart’s research and teaching explore African American film cultures from the origins of the medium to the present. Her interests also include the archiving and preservation of moving images, as well as nontheatrical, amateur, and activist film and video. Stewart is the author of Migrating to the Movies: Cinema and Black Urban Modernity. She is currently researching the racial politics of moving image preservation and completing a study of the life and work of African American actor, writer and director Spencer Williams. 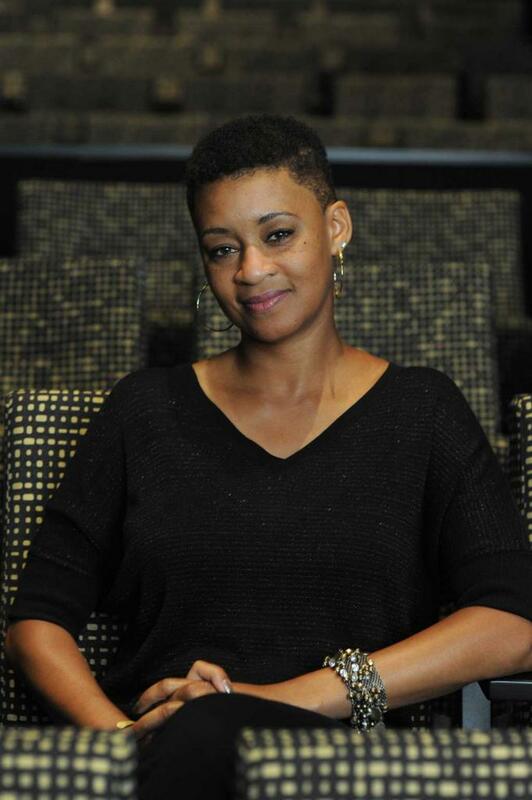 She directs the South Side Home Movie Project and is co-curator of the L.A. Rebellion Preservation Project at the UCLA Film and Television Archive. She also serves as an appointee to the National Film Preservation Board. Stewart is chair of the Black Cinema House Advisory Council and serves on the Executive Committee of the University’s Center for the Study of Race, Politics, and Culture. Stewart received her AM and PhD in English from the University of Chicago. Founded in 2011, the Gray Center supports experimental collaborations between artists and scholars at the University of Chicago through its signature program, the Mellon Collaborative Fellowships for Arts Practice and Scholarship. The Gray Center is named for prominent Chicago philanthropists Richard and Mary L. Gray in recognition of their $5 million gift to the University. Central to the Gray Center’s mission, Levin said, is a truly experimental approach—Mellon Fellows are encouraged to pursue their interests wherever they may lead. While fellows are not required to produce a final project, many Gray Center partnerships have led to unique events and programs at UChicago and beyond. A collaboration between New Testament scholar Margaret M. Mitchell and playwrights Lisa Peterson and Denis O’Hare came to fruition in Court Theatre’s world premiere production of The Good Book, a play about the history of Biblical interpretation. The Black Death Project, a Gray Center project focused on the aesthetics and politics of death and violence in the black community, resulted in workshops and art pieces. Inspired by his involvement in the project, documentary filmmaker Orlando Bagwell has begun work on a new project about the death of Michael Brown in Ferguson, Missouri. In October, the Museum of Contemporary Art Chicago will host the world premiere of Afterword, an experimental opera developed at the Gray Center by Mellon Fellows Catherine Sullivan, George Lewis, and Sean Griffin. For more information on upcoming projects and events, visit the Gray Center’s website.